Wristbands: No Shame or Blame – Just Love®. Order these in advance of your event; no charge for the bands but we do ask for help covering shipping costs. Typically takes a week for delivery. Click here to order. 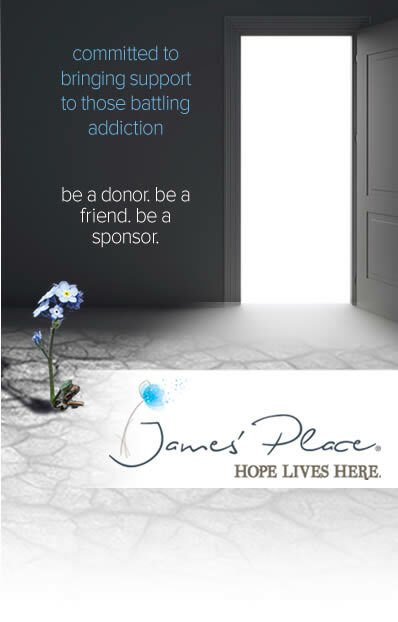 Postcard: Shatter the Stigma/Faces of Addiction/Facts. For those who think they know what an addict looks like… Faces of Addiction is mix of known and unknown faces to help others to identify those who suffer with humanity. The facts included on the second side are excellent conversation starters. Great for display at public events; good for use as talking points during presentations. Download and print locally; can be printed on standard 8 ½ X 11 sized paper or specialty sizes. What is your goal for this event? Raising awareness? Looking for contributions? Working on advocacy issues? Be clear on your goal. Without clarity, you’ll quickly lose your audience. The best presentations are planned in advance with a specific intention for every audience. Once you have defined your “message”, your focus, you can readily tweak the content based on your audience. If you are talking to parents and family members, this will differ from speaking to business or medical audiences. Your core message remains the same. So keep it simple by creating an outline of key points. You don’t need a script. A bullet point outline requires you to know your material and speak more authentically with great passion. Set a target presentation time which allows for questions and answers. If you have an hour, allow 15 minutes for questions, for example. Every person comes with their own perceptions of the issues a hand. Q & A is the most effective way to educate and to learn. Prepare 4-5 questions to prime the pump. If there is a silence, you can pull one out to start the ball rolling. The more questions asked the more engaged the audience is. And this leads you to better understand how to update or tweak your presentation for the future. If you only have 20 minutes, make it count and stick around to answer questions afterwards. Content – feel free to use any of the information provided on this website. There are current news items, book reviews, links to websites, quotes, items written by those dealing with the disease of addiction, historical data bits, poems and more. What will best serve your purpose? The disease of addiction is complicated. Keep your focus by choosing well to keep your audience’s attention and accomplish your intention. Practice ahead of time with someone you trust to offer you constructive feedback. The more comfortable you are with your talk, the more believable. You want to avoid “reading the script”. Audiences want to connect to you not a piece of paper! Have fun! When we speak with passion about topics that matter to us, we should enjoy the process. We might be sweating like crazy in preparation and during but isn’t our goal worthy of a little sweat and discomfort? Of course! Speaking in public and/or manning display booths can be daunting yet the more we do it, the better we get. And, when we are fervent about our purpose, moving to bigger and broader comfort zones is the best way to accomplish our goals! Handouts and overhead/slides – Keep it simple. Rather than investing a lot of time creating computer generated slides or even overheads, an effective handout is something audience members can take with them. Many a presentation has failed when more time is focused on technical glitches than on the topic at hand. A well laid out two page handout gives audiences a map of your material and information on where to get more in the future. And, you can include your contact information for follow up inquires. Display tables – keep it simple here, too! The tendency is to overcrowd a space – be it a tabletop or a booth. More is not better in this case. Select a few targeted pieces which can include the handouts mentioned above from STS. Offer brochures from the National Institutes of Drug Addiction or other relevant agencies. Consider creating an inexpensive display board. If you have a table top, cover it with a cloth and put out a dish of simple candy along with wristbands or cards for a specific cause. Keep it clean and inviting. Display boards – get a tri-fold board (white or black) at your local craft store such as Michaels. Having a “generic” board ready to go, even last minute opportunities won’t be a problem. By preparing this easy to carry display, you can glue relevant items on the board and easily store it between events. Keep an event box and display board ready to go. Just like keeping travel items ready for any last minute fun opportunity, keep an easy to transport box (with lid) filled with brochures, handouts (generic), pens, referral/interest sheets and table cloth. Once you have this ready to go and a presentation format, you’ll have more time to craft your message and intent for each opportunity that comes up.